At Sanju's trailer launch, director Rajkumar Hirani shared that it was the hesitation of playing an older character on screen that made superstar Aamir Khan say no. Sanju director Rajkumar Hirani wanted Aamir Khan to play Sunil Dutt’s role in Sanjay Dutt’s biopic. Aamir Khan, in a recent interview, revealed he turned down the role of Sunil Dutt in Sanju as he wanted to play the protagonist, but today at the trailer launch of the film, director Rajkumar Hirani shared that it was the hesitation of playing an older character on screen that made the superstar say no to the film. Last week in a group interaction, Aamir was asked about the rumours that Hirani offered him the role of Sunil Dutt. The 53-year-old star confirmed the rumours, saying, “He wanted me to play Sunil Dutt sahab’s role and it is a fantastic role. Largely, it is a father-son story. But Sanju’s role is unbelievable. I told Raju, Sanjay Dutt’s role is so great that it has won my heart… So in this film, I can’t do any other role but that of Sanjay Dutt, which I can’t do as Ranbir Kapoor is doing it. So, don’t offer me any other role as I won’t be able to do it. I can’t come to the sets thinking these should have been my lines,” Aamir said. 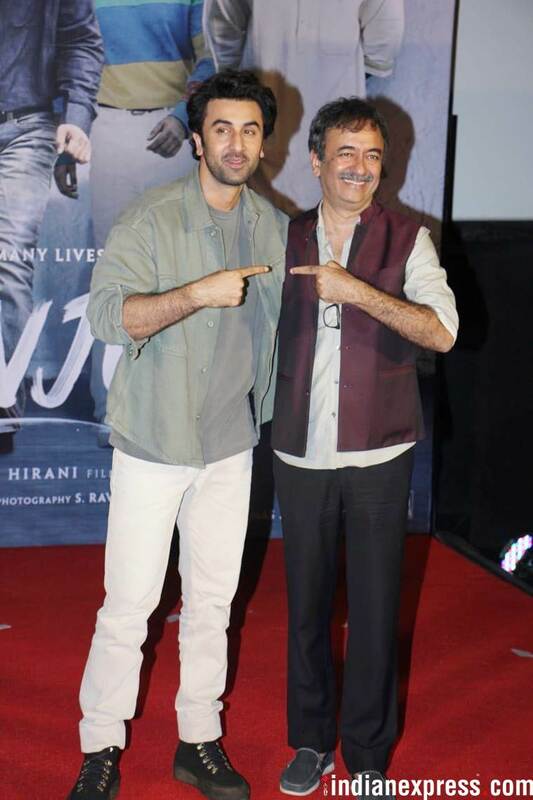 At the trailer launch, when Hirani was asked how he took the answer from Aamir, the filmmaker said that his initial intention was not to cast Aamir but to narrate the script of Sanju, as they are close friends. In the past too, Hirani has narrated other scripts to Aamir. “Aamir is a friend and whenever I write a script, I narrate it to him to get a reaction. I had narrated this to him as well, not with the intention of casting him to play any role (but because) he reacts very interestingly to scripts. Out of greed I asked him if he would play Sunil Dutt’s role. He took it seriously and gave it a thought and said let’s meet next week. When I met him, he showed me Dangal and said ‘I am already playing an older role, if my next film after this is again an older role, people will stop giving me young man’s role,’ which was a valid argument,” Hirani said. In 2016, when Dangal was up for release, Aamir had shared with media persons that how he was hesitant to play an older character in the sports biopic.